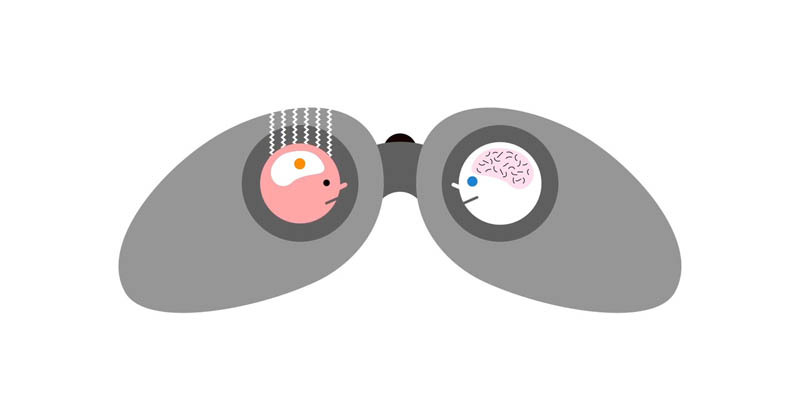 Can neuroscience help improve Performance Management? Most performance management processes have the intension of achieving improved performance, and in some cases they also aim to help the most able employees become even better at what they do. This blog covers the content from our webinar of the same title. We had nearly 80 people join us on the day. The blog covers the content of the webinar, the results of the polls we ran and the discussion which took place together with our own experience of what companies are doing. This then gives you a good overview of the current thinking and the changes which companies are making. The references to research and they are embedded in the text. What is performance management trying to achieve? Most performance management processes have the intension of achieving improved performance, and in some cases they also aim to help the most able employees become even better at what they do. In my view there is nothing inherently wrong with the intent behind performance management; it is the execution that makes the difference. Now neuroscience is beginning to point out some challenges to the execution of performance management processes that mean even more questions are raised about its effectiveness. Research from the Corporate Leadership Council estimates that tweaks to PM will help companies achieve a 3-5 % increase in performance but due to competitive pressures and economic changes most companies actually need to see improvements of around 20%. Our participants agreed with this figure and said their companies were targeting similar performance and productivity increases and that is putting pressure on performance processes to be more effective. Some 77% of participants have changed their PM process in the last year and a third plan to make changes this year. Some companies are also saying they are making more changes on top of those they made last year. So there is clearly a lot going on in performance. Here are some of the findings and ideas about how you could make your performance management process more brain-savvy and hence get better results by applying some of the neuroscience findings. I have included some of the trends we are seeing from clients and participants. Our participants felt that most of their organisations approached performance as if people have a fixed ability although there was a small minority seeking to change the mind-set. Carol Dweck is a Stanford professor who has spent her career researching success. She says mind-sets create an entire psychological world for people, where everything has a different meaning depending on the mind-set held. Her research shows that people tend to have one of two sets of beliefs that create a mind-set about work, learning, and their own abilities. In companies these mind-sets carry over into HR processes and policies like performance management and talent. People who hold a belief that talent, ability and intelligence are something you are born with are referred to by Dweck as holding a fixed mind-set. Much of our language about performance is cased in a fixed mind-set. For example, “He is really smart.” “She is so talented.” For people with these beliefs you either have it or you don’t. There are also behaviours which support the mind-set. The first rule of a fixed mind-set is look clever at all times and at all costs. If you are not going to look clever, don’t do it. In the face of setbacks, hide your mistakes; conceal your deficiencies; because mistakes and deficiencies are permanent. In contrast people who believe talent, abilities and intellect can be developed are described by Dweck as having a growth mind-set. In a growth mind-set the number one rule is learn, learn, learn. People with beliefs that make up a growth mind-set say things like, “It’s much more important for me to learn in my assignments than to get the best rating.” They care about ratings, but care even more about learning. For these people it is not about intelligence and talents, even if they have those traits in abundance, they are the start point rather than the end point. Mistakes are part of learning; deficiencies are part of being human and indicate you need to work harder; they find out what they can do to learn, who they can learn from and where the testing opportunities are. Dweck’s studies shows that people with a growth mind-set work harder, learn from experience, and are willing to take more risk to achieve results. Managers who believe in a fixed mind-set will find it hard to see the point of development programmes, feedback and coaching. Their mind-set sees performance as a static trait. Their assumption is that in business you need to find those people who can perform in the role and then work to hire or retain them. Much else is a waste of money, effort, and resources. Managers who hold a growth mind-set tend to hold beliefs about employees which describe how the employee approaches work. For example those who work hard, try new things, take a risk, and learn from mistakes are viewed as performing well and worth investment. These managers will be more inclined to give feedback, provide stretch assignments and coach. Our participants felt that most of their organisations approached performance as if people have a fixed ability although there was a small minority seeking to change the mind-set. Dweck’s work shows this is possible with as little as two hours of training for managers. Our view is unless you tackle this issue you are always going to be wasting effort and money on trying to get managers to coach, give performance guidance and have tough conversations. In a poll participants said the level of threat in their PM process was high (53%) with a further 41% saying it was medium. In a poll participants said the level of threat in their PM process was high (53%) with a further 41% saying it was medium; a number were taking steps to change this. The power in the process, including timing and rating is with the line manager; creating a sense of inequity. Some of the ways in which participant organisations were reducing threat included giving more control to employees, creating more of a culture of feedback; having more regular conversations, setting clear expectations on the role of the manager and the employee and following a strengths based approach in PM. As far back as 1996 psychological research found that 38% of feedback made performance worse! Maybe one of the most established elements of performance management is the whole notion that feedback will improve performance; especially negative or ‘constructive’ feedback. Yet is there evidence to support this assumption? As far back as 1996 psychological research found that 38% of feedback made performance worse! And even where feedback improved performance, about 30% of cases it was only on relatively simple tasks. A further 30% of feedback had no impact at all. How feedback ever became so pivotal in management practice is beyond me! Neuroscience is adding to these concerns by pointing out that feedback creates threat in all of the CORE social domains. In addition people create a mental model to cope with the volume of information coming in through their senses. These mental models also occur in work. They create shortcuts to how to do the job. People are highly unlikely to have similar mental models. Therefore feedback rarely fits with the mental model held by the employee. Shifting mental models is hard to do, and very unlikely when there is little or no reward for the brain. In our work with clients we have been helping them to focus more on brain-savvy feedback, that is positive feedback and also teaching employees how to understand the performance standards and to seek feedback to enable them to maximise their performance. Asking for feedback reduces, and in many cases eliminates the threat response and can increase rewards for options and certainty. We also find managers like this method, if only because it makes their job easier. Most employees are very well aware of their shortcomings and happy to discuss them in a culture of support and one that is geared to helping maximise performance rather than catch people out. Our participants heartily wished ratings would be eliminated but also recognised that for many companies, and managers, this would lead to difficulties in running talent and reward policy. Rating and ranking scales create in-groups and out-groups across the business. Whilst this may not be all bad it can heighten tensions and reduce collaboration. They also create a sense of threat. One study found that even those who were rated at the top of the scale experienced threat. Our participants heartily wished ratings would be eliminated but also recognised that for many companies, and managers, this would lead to difficulties in running talent and reward policy. The companies who participated on the webinar still had ratings and were trying to mitigate some of the threat through better quality and more frequent feedback conversations, and the employee being more involved in the PM process rather than having it ‘done to’ them. Consider what ratings are achieving and if you use them, take more input from the employee.